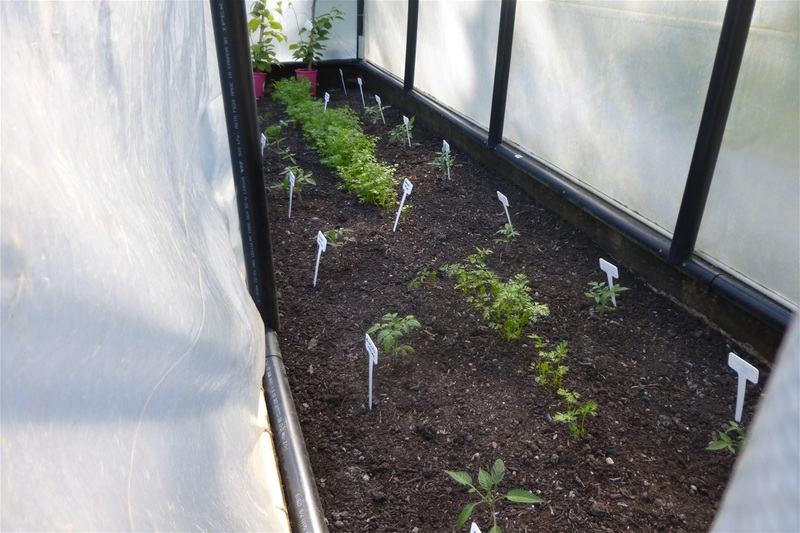 Tomatoes on last transplant to greenhouses starting to bush out and carrots in the middle. It is a cold spring this year, temperatures are all over the place and tomatoes are affected in growth size. Your tomatoes will do as well as the environment permits, and your crop outcome is unpredictable when the weather does not co-operate. Planted 2 types of carrots in between tomatoes... Parisian Button and . Doing well but second set of carrots not as good a seed from this lot. As you can see the "Parisian" carrots are lush and full down the middle far side. Tomatoes and carrots are companion plants.